No worries I'm staying here an Ankeny for another transfer. 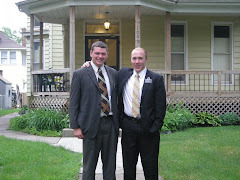 Elder Curtis is a sweet companion, so I am excited for another six weeks to work together. So current news, yes mom it's been snowing a ton the last two days. I think we got 8-10 inches. Its been good though. When it snows, it warms up to the mid to upper 20's so it's been great for tracting. This Saturday we have J's baptism. He just got married last Saturday and now the baptism. 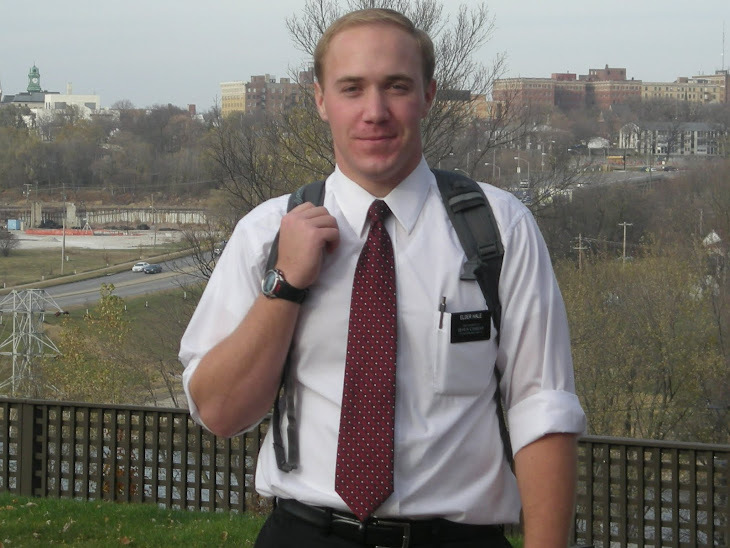 We have been really stoked to see him come into the Gospel. He's been a golden investigator, totally prepared since before we even started teaching him. So I'll get you some pictures of that. But I did get some pictures of my one year mark. Hopefully they came through. I have to set the scene for you. The night before it all, we had planned to tract a trailer park that was in a small town in Huxley. So we get there and the trailer park was abandoned. It looked like a tornado had come through a few summers back and all the trailers were just trashed. So I thought it would be a appropriate opportunity to capture the "real life" scene of the mid-west. The last picture is a mission wide favorite. Its called the "fizz face". I don't know where it comes from, but when any important picture shows itself, a fizz face must be presented. A little IDMM comin at ya'. 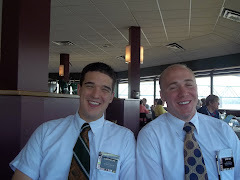 With the upcoming baptism we have been doing a lot of tracting to find another golden investigator. We have a church tour set up with a lady this Friday. We tracted into her the other day and she felt that we were there to an answer to a prayer. She was having a rough day and had been crying recently. I felt the spirit at the door step as we briefly talked to her about the Restoration. I'll let you know how it goes.